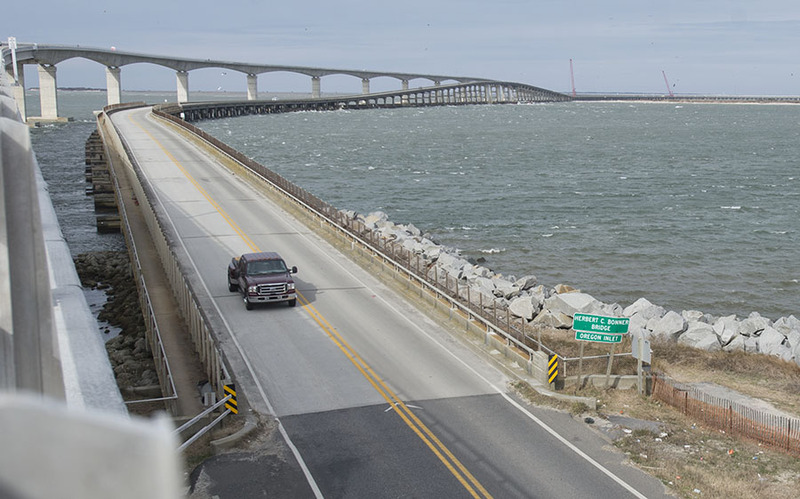 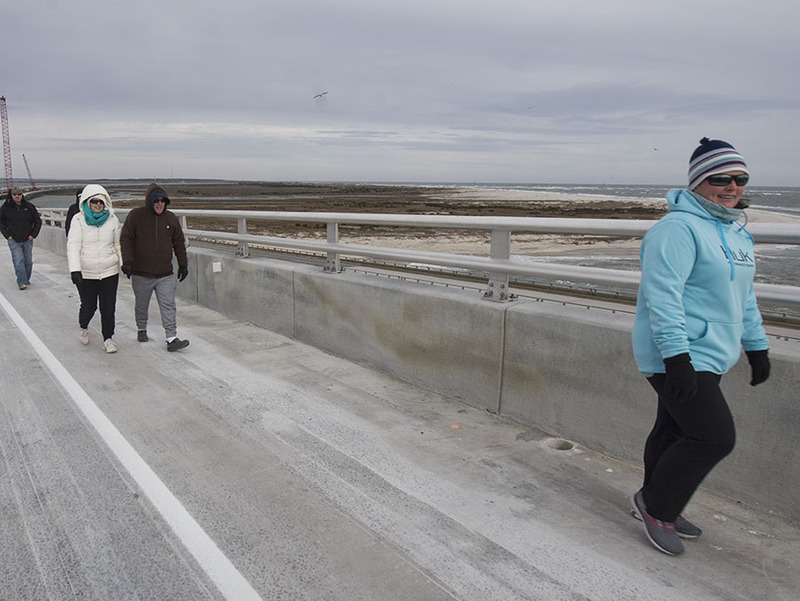 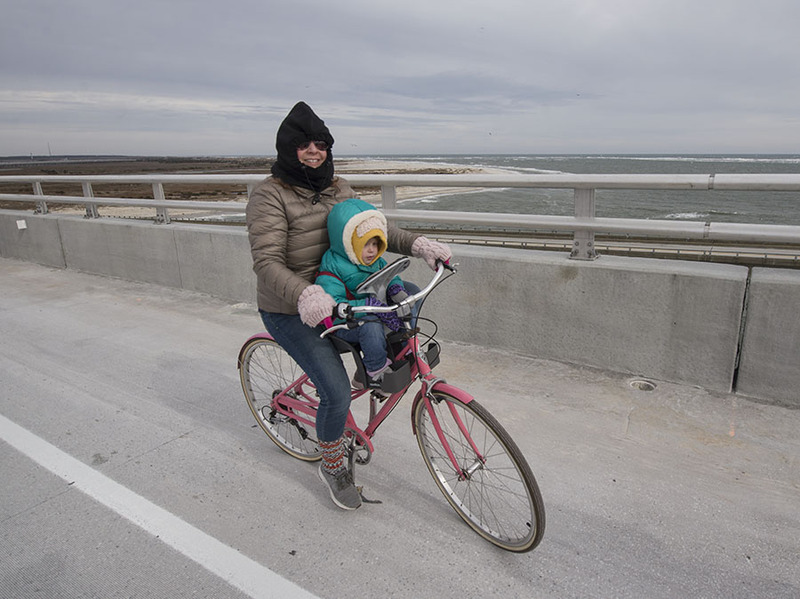 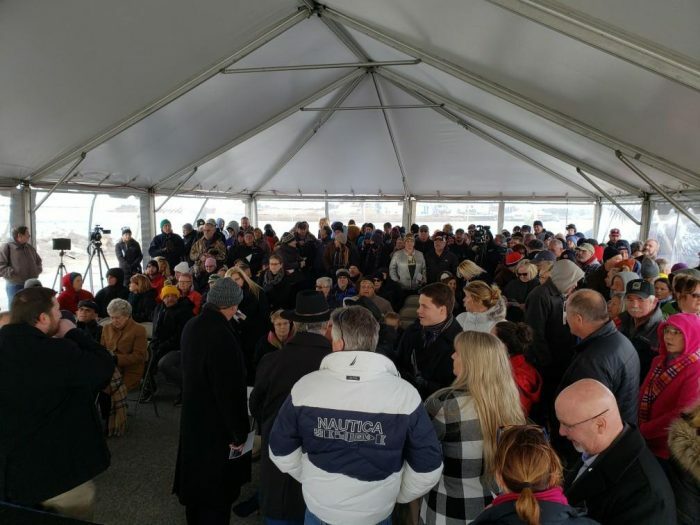 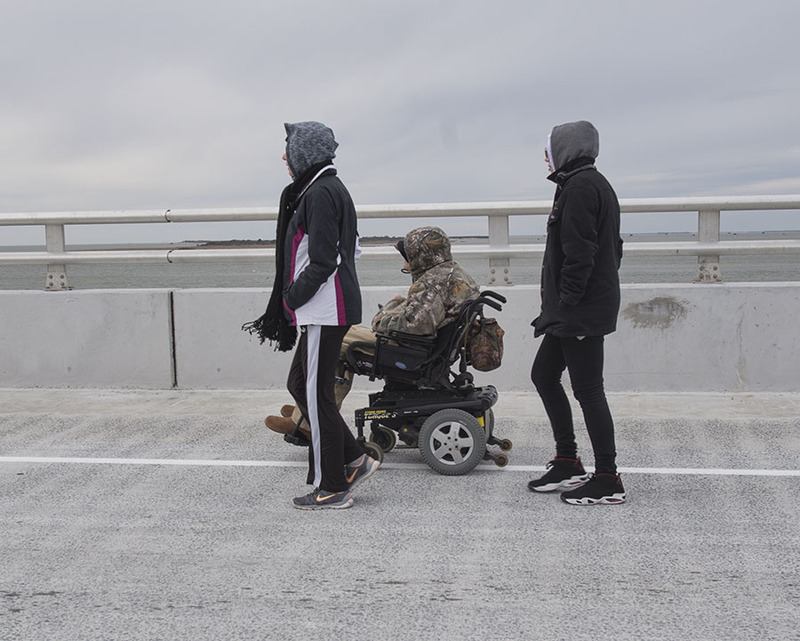 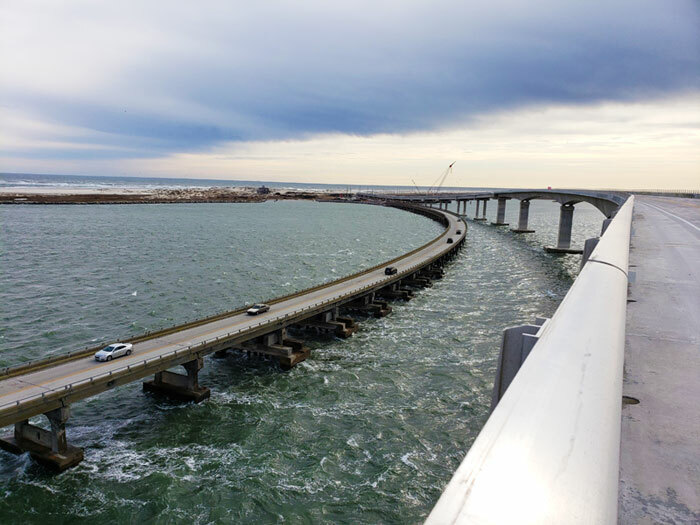 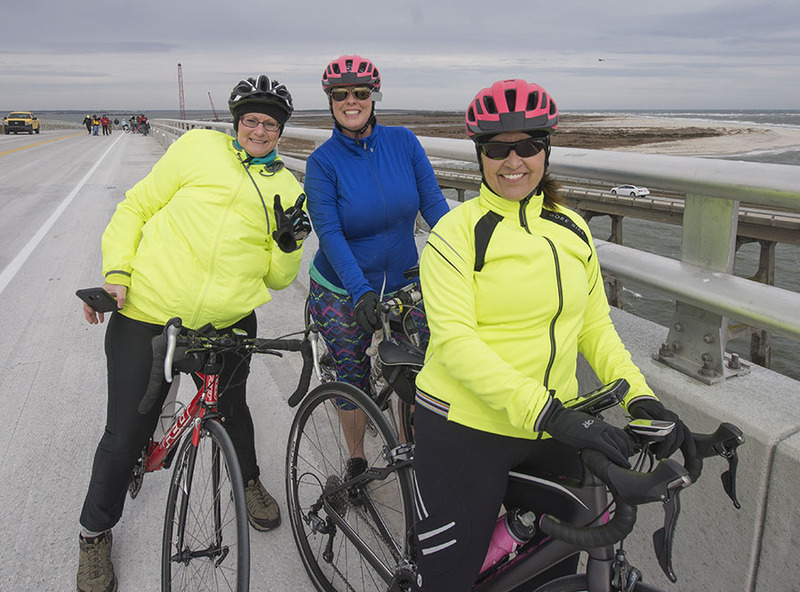 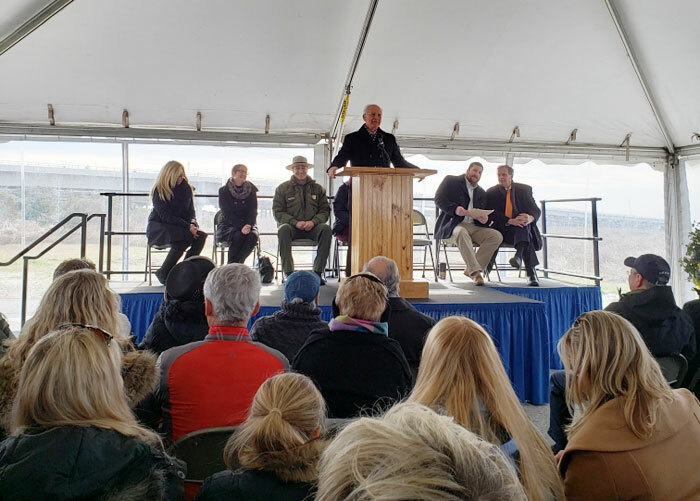 Hundreds of people from the Outer Banks and miles beyond congregated at the edge of Oregon Inlet on Saturday to celebrate the long-awaited completion of the new Bonner Bridge replacement. 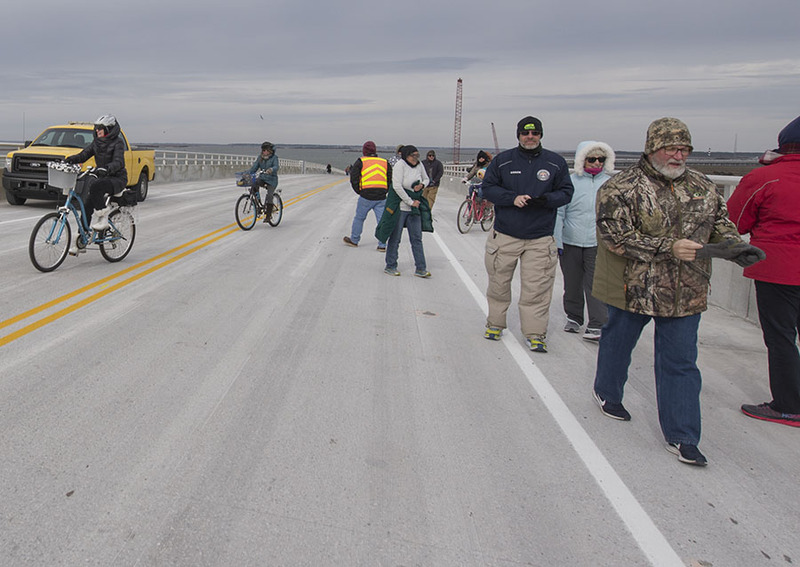 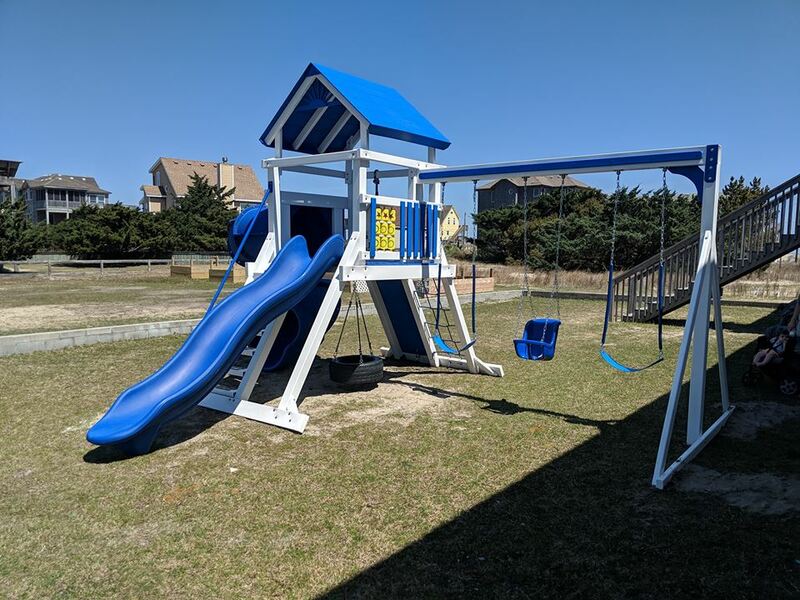 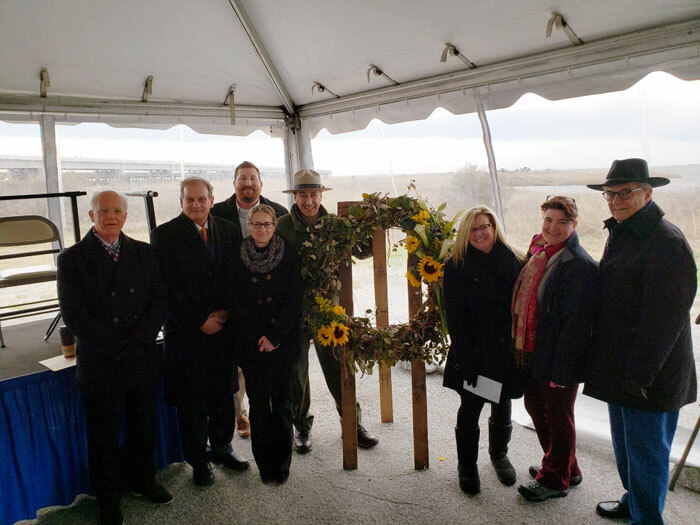 The event was called “Community Day” and was an opportunity for the public to be among the first folks to walk or ride a bike on the 2.8-mile-long structure. 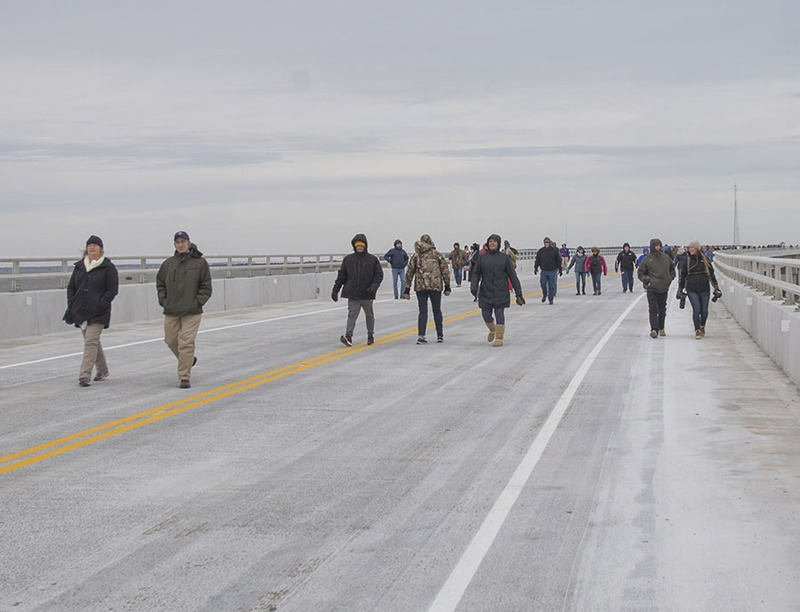 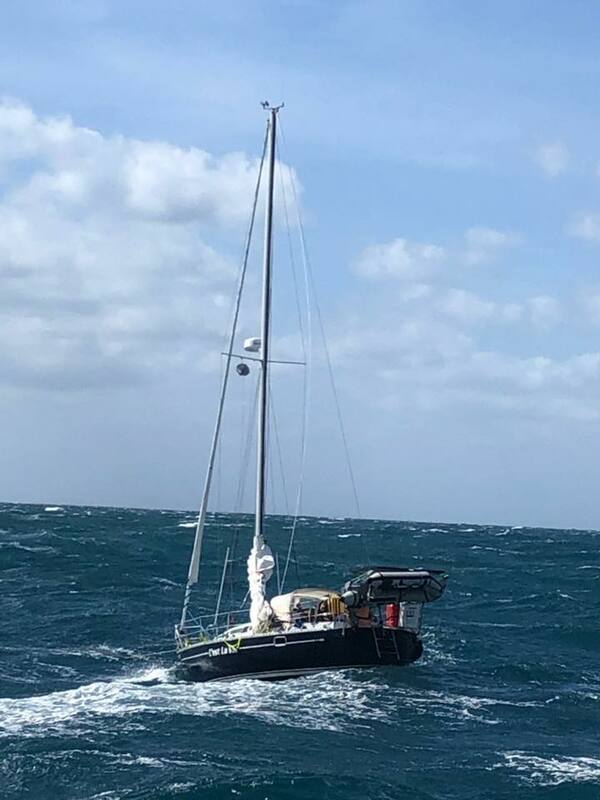 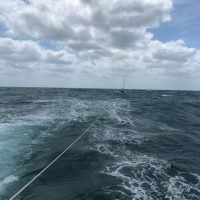 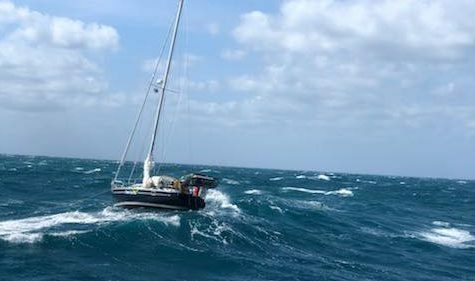 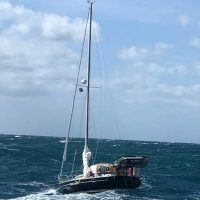 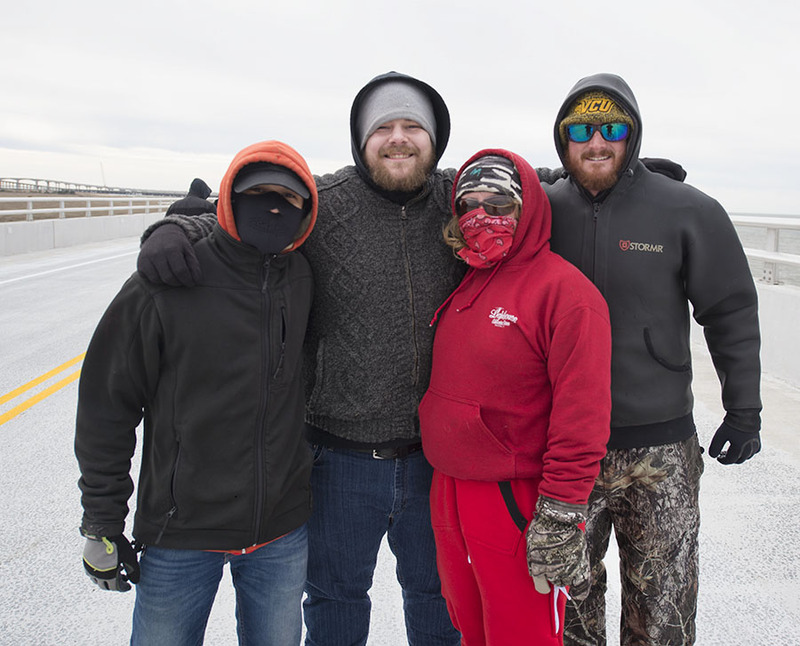 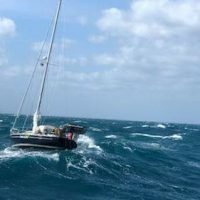 Though winds blew at an icy 15-20 mph throughout the morning and afternoon, the crowd didn’t seem to mind, and the event – as well as the ensuing bridge walk – had a festive atmosphere from start to finish. 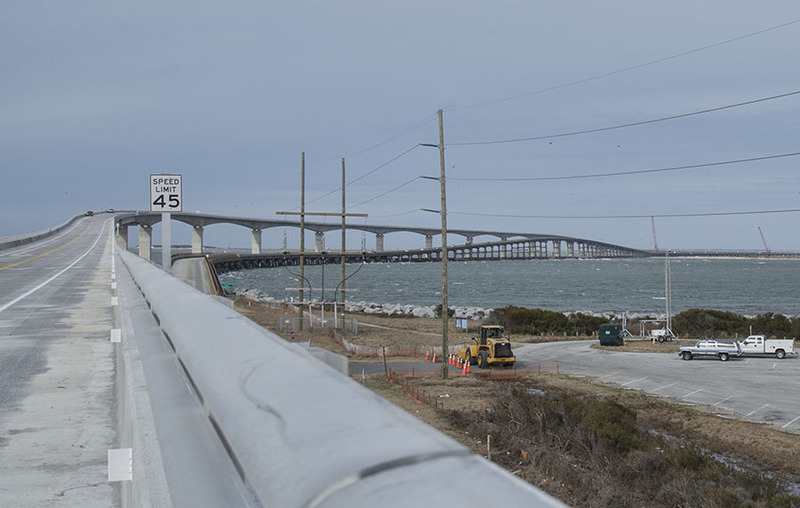 Work on the new bridge has accelerated over the past two months, and the bridge is expected to open as early as mid-February. 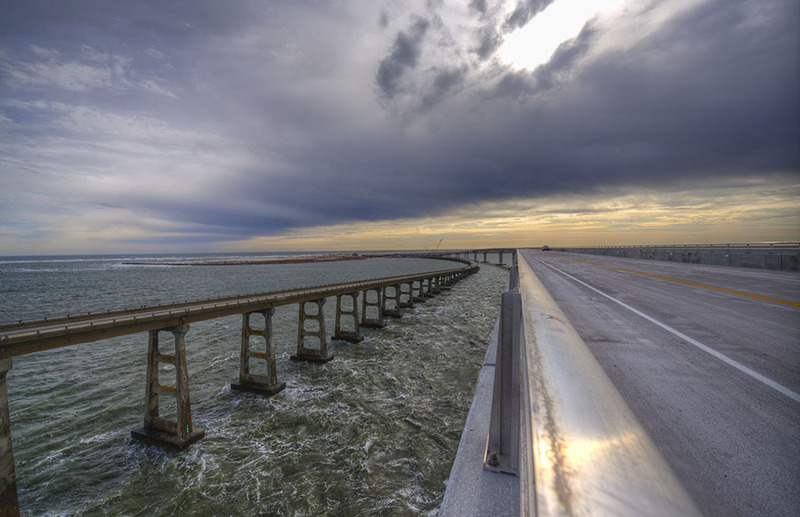 The bridge replaces the current Bonner Bridge, which was built in 1963, and which passed its 30-year lifespan in 1993. 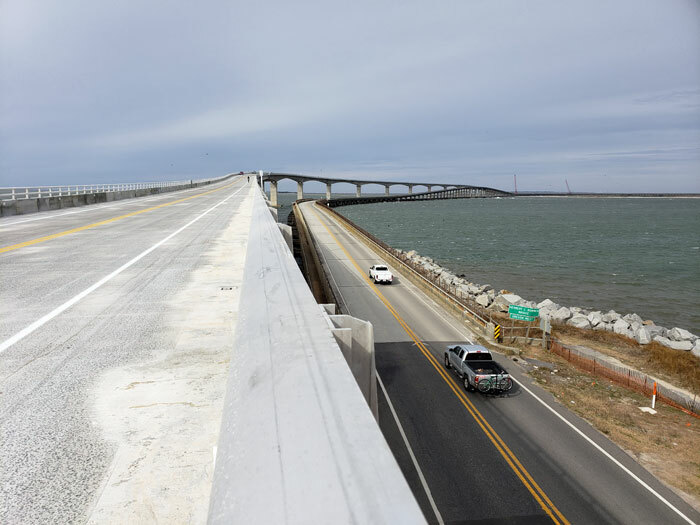 The new structure is located 50-189 feet west of the existing bridge, and is designed to have a lifespan of 100 years. 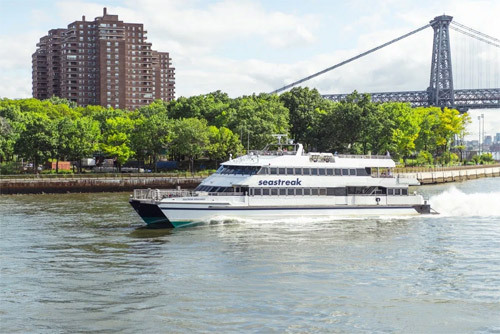 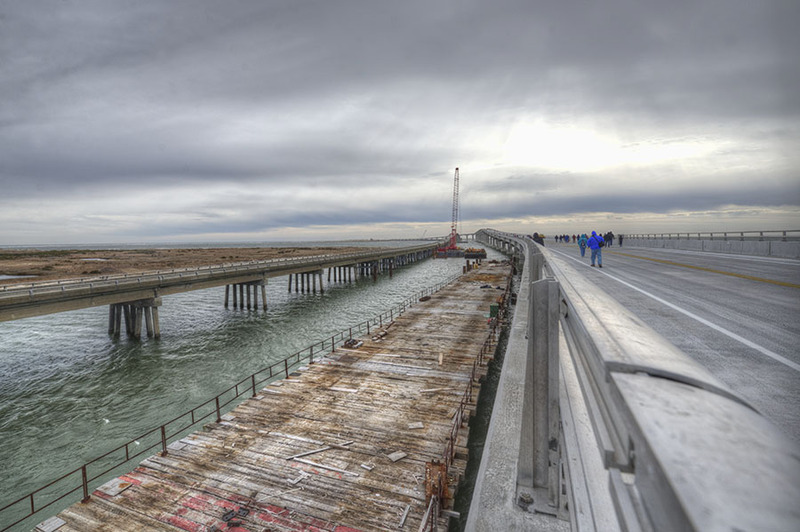 Stainless reinforcing steel and high-durability concrete was used to protect against corrosion from the harsh salt air and water, and the high-rise portion extends for 3,500 feet with seven navigational spans, (averaging about 300 feet in width each), which provides more options for navigation under the bridge. 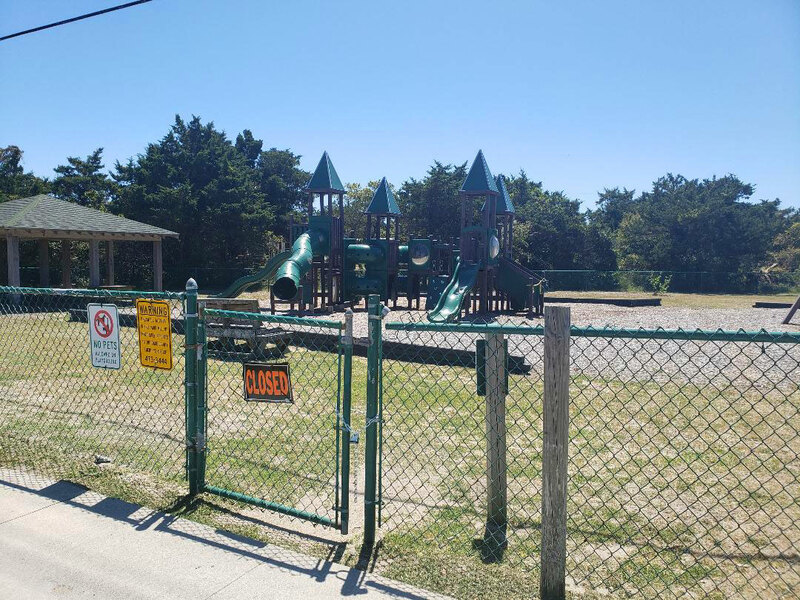 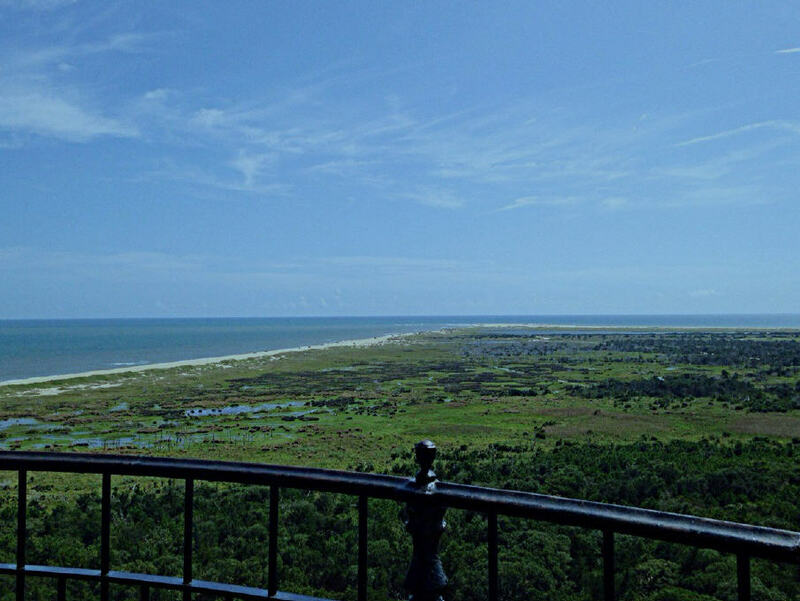 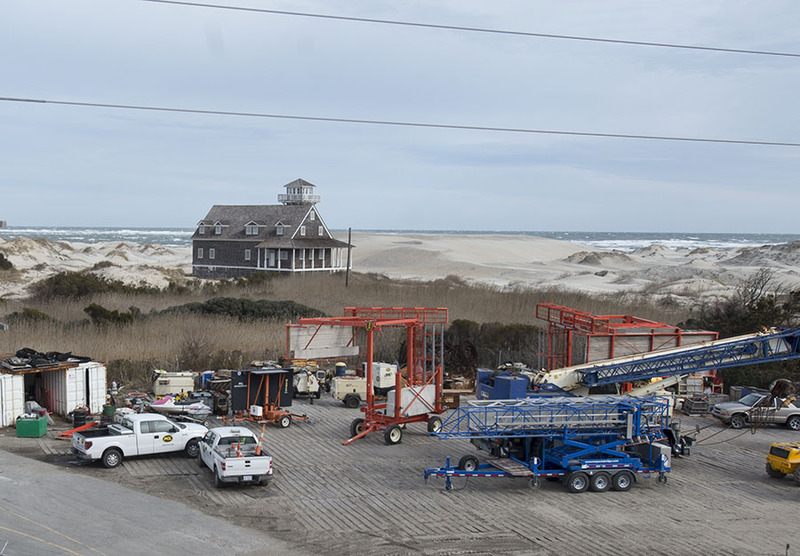 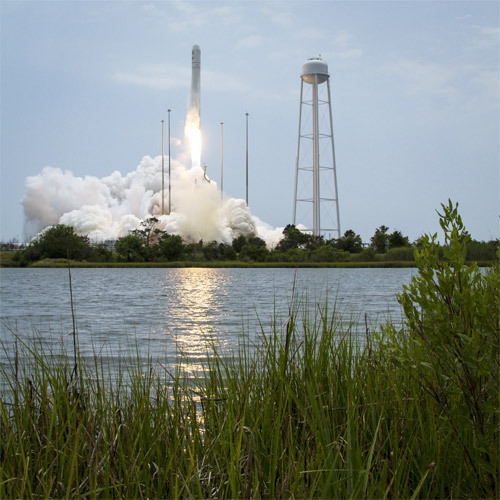 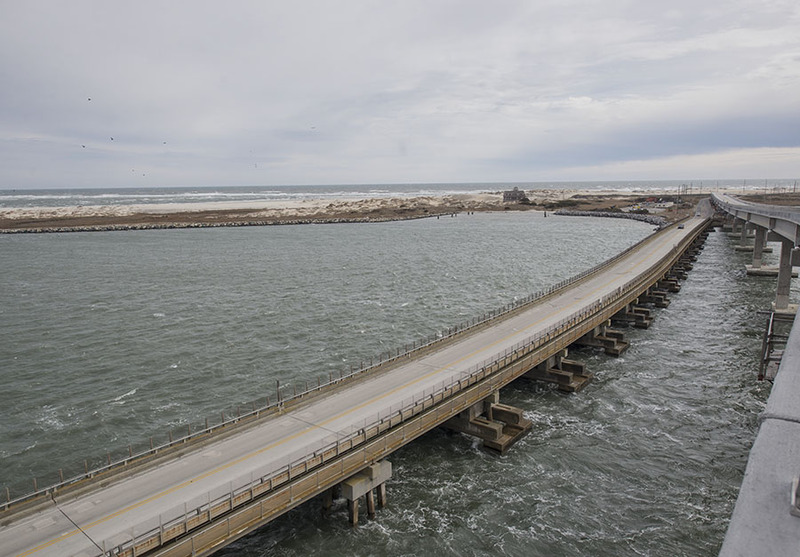 The $252 million dollar project broke ground on March 8, 2016, at the southern end of Oregon Inlet. 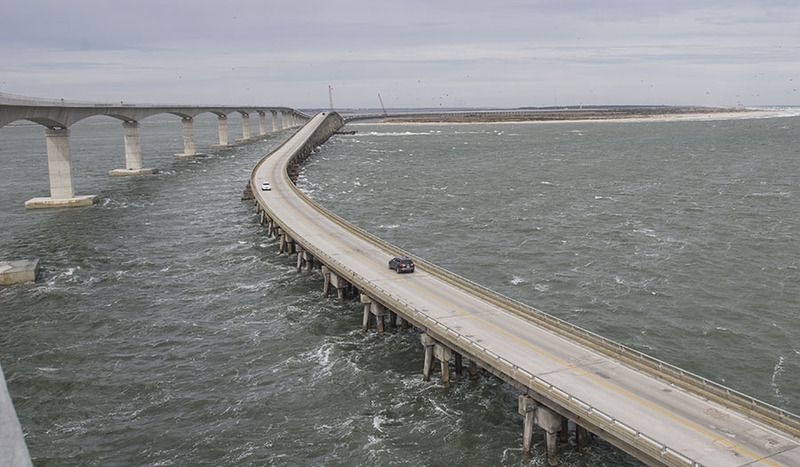 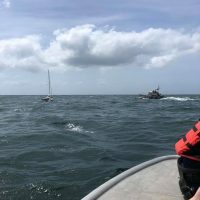 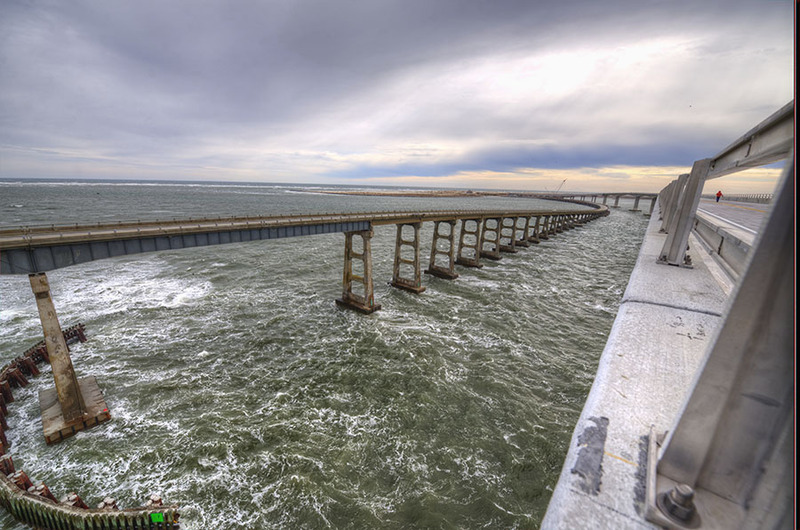 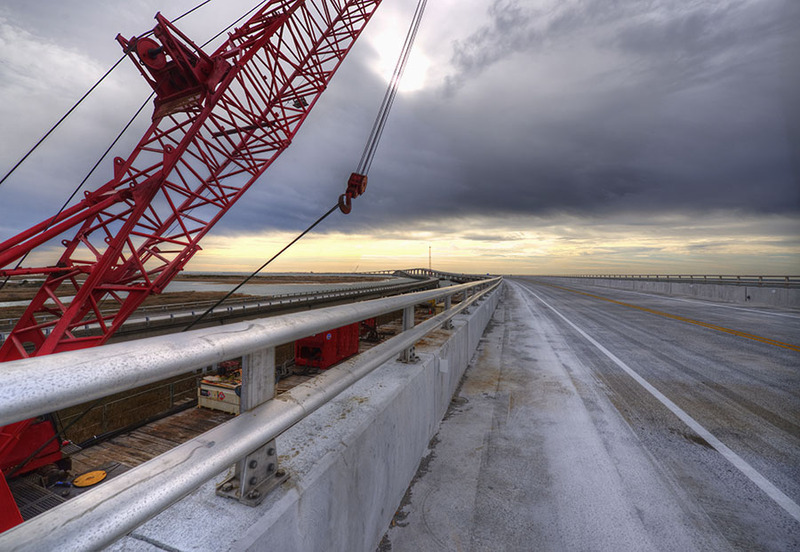 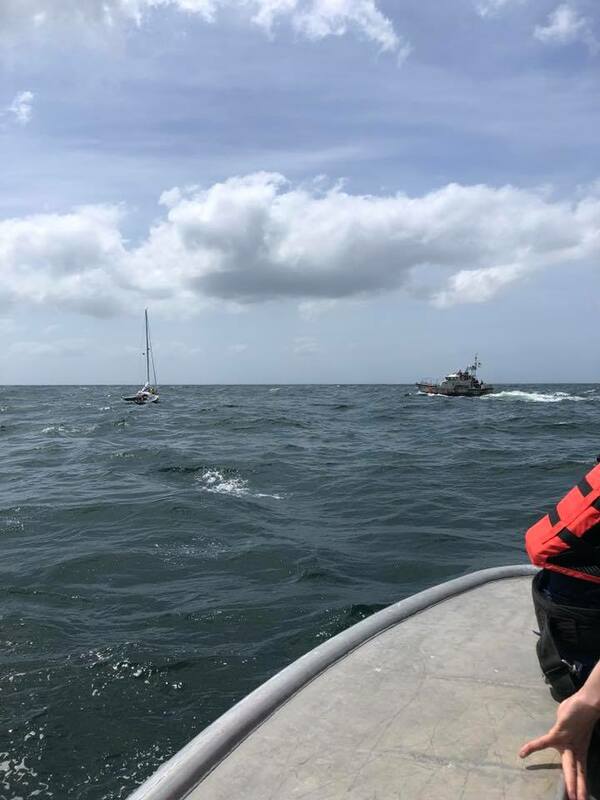 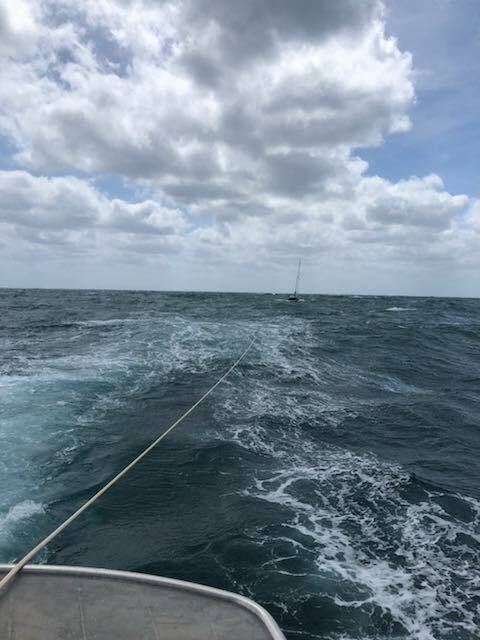 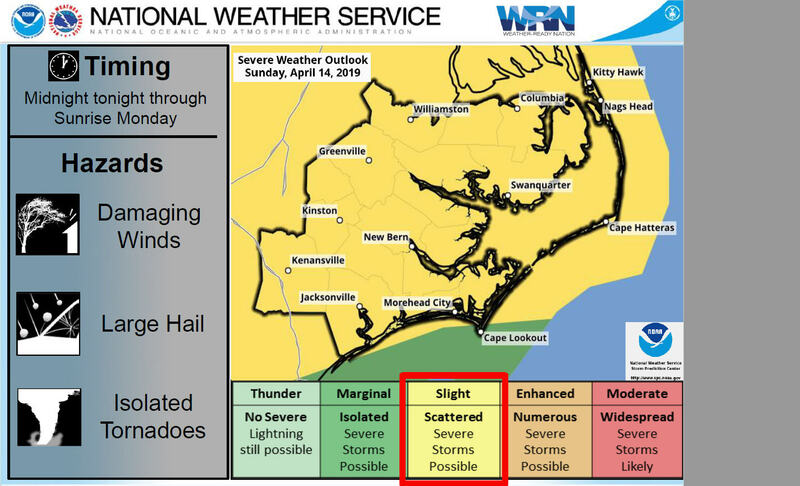 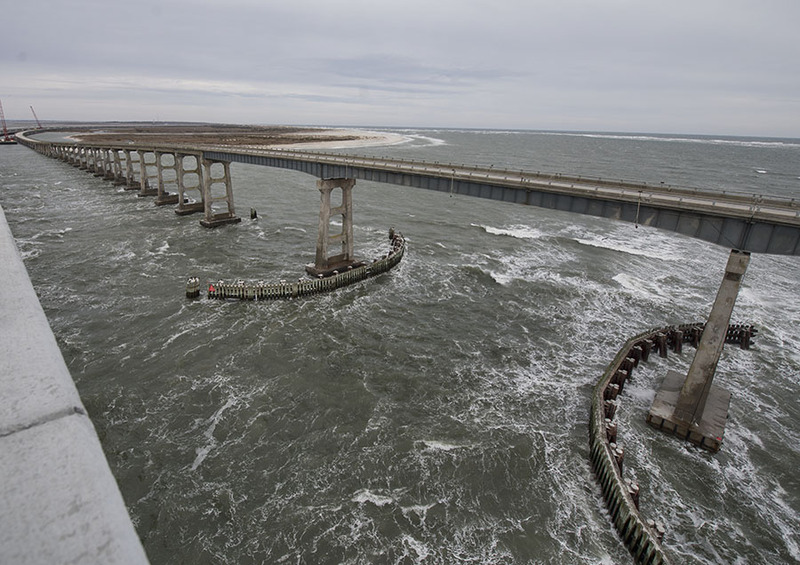 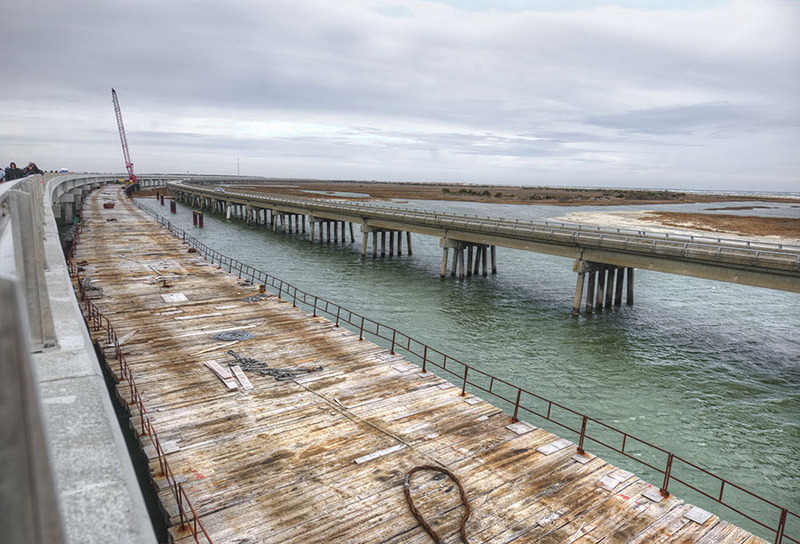 Once the bridge has opened to traffic, the majority of the existing Bonner Bridge will be demolished and the material will be used at offshore reef sites in coordination with the N.C. Division of Marine Fisheries. 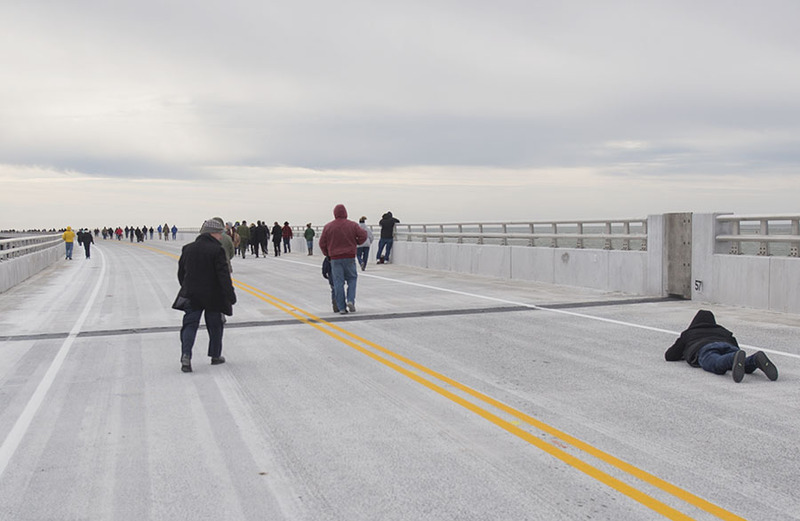 About 1,000 feet of the existing bridge at the south end will remain in place and will be open for pedestrians.